The designs are eye catching with a less-is-more principle. 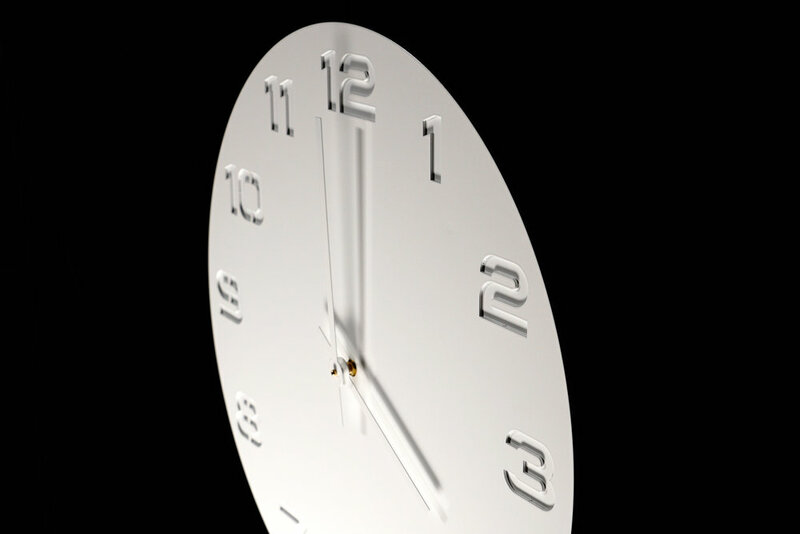 The clocks provide a simple marriage of aluminum with the numbers cut out from the face, while the back ply is painted in contrasting color. Together they create a bold, modern look. The white over white version uses the subtlety of shadows to make its point. 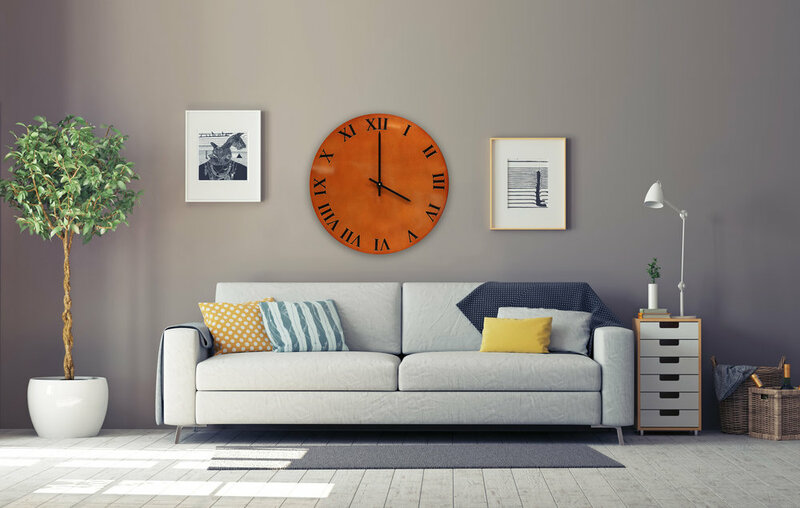 Either way, the result is a visually striking wall clock!